Two B.C. researchers say Jasper National Park is due for a catastrophic forest fire — and they’re worried officials aren’t doing enough preparation and prevention for it. Two B.C. researchers say Jasper National Park is due for a catastrophic forest fire — and they're worried officials aren't doing enough preparation and prevention for it. Emile Begin and Ken Hodges said a major forest fire in the area is an inevitability. "It's a matter of when, not if," Begin told CBC's Radio Active. They've both been foresters for 40 years and have been studying Jasper National Park. They've found multiple issues with the forest that make it susceptible to a fire. "You have fire suppression that has occurred for many years — therefore, you get a lot of dead fuel that would have been consumed by a natural process," Hodges said. 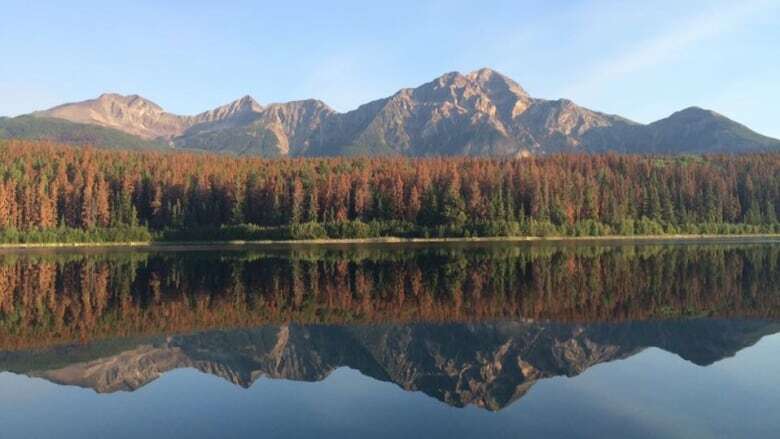 "The mountain pine beetle adds even more fuel to the situation." Hodges said with those factors, all it would take is what he calls a 30-30-30 day — 30 per cent humidity, 30 degrees and 30 km/h winds — to put the forest and adjacent townsite at risk. "You've got a major catastrophe on your hands if you get a match thrown into that," he said. "If you do not reduce the fuel, then you're leaving a fire that might burn similar to what happened in Waterton." Burned trees are shown in front of and behind the Prince of Wales Hotel in Waterton Lakes, Alta. The massive wildfire that destroyed much of the forest in the park could happen in Jasper, two researchers say. 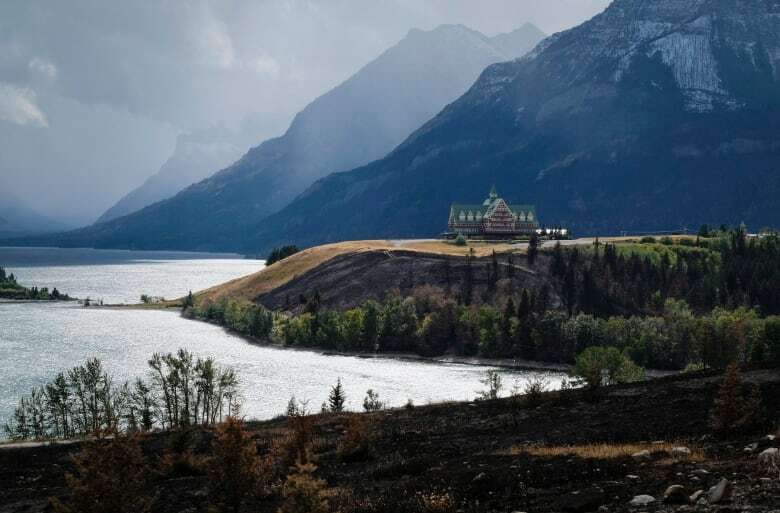 The forest fire in Waterton Lakes National Park destroyed an estimated 30 per cent of the park in September 2017, including 70 per cent of the forested area. The fire was sparked by lightning and took officials almost two weeks to contain. In conversations with Parks Canada, the researchers felt they weren't adequately prepared for a similar situation to Waterton. They asked Parks Canada for copies of their emergency preparedness plans, and Begin said they couldn't provide them. He said Parks Canada has some, but they are basic. "Public safety is really quite important and the park gets over two million visitors a year," Begin said. "There are a lot of concerned people." Alan Fehr, a superintendent for Jasper National Park, said Parks Canada has received the researchers' work. He said while they're always looking for ways to improve their evacuation and fire prevention plans, he's confident in the work they've done. "Jasper is located in a forested environment and wildfires are always a concern to us," Fehr said Tuesday. "We're quite comfortable with where we are with our own emergency planning and evacuation planning." Fehr said Parks Canada is using FireSmart techniques, including removing dead and downed trees and trees killed by the pine beetle, to mitigate the fire risk. 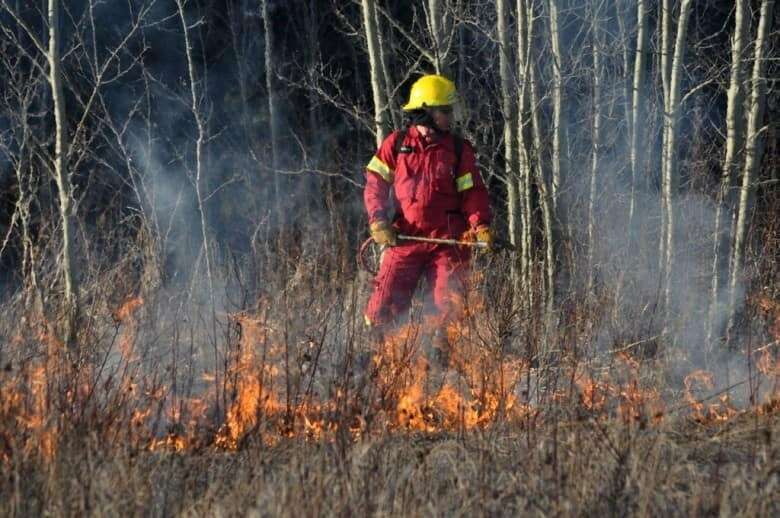 Using the in-house expertise from Parks Canada's national fire program, he said they identify areas where more work needs to be done every year. Jasper National Park does FireSmart activities every year to mitigate the fire risk in the area. "We have fire guards that were established 10 or 15 years ago, and some of those fireguards we're constantly working on," he said. "We're constantly trying to learn and improve and respond to conditions and the change in vegetation over time." Despite the disagreement between the researchers and Parks Canada, both agree FireSmart activities are key in reducing fire risk. "Planning and praying won't get you very far," Begin said. "[But] planning will get you started. "We need to get the actions on the ground and reduce that fuel." But like many researchers looking at potentially catastrophic events, they hope there is no major fire in the area for many years. "The potential that's out there is actually scary," Hodges said. "Hopefully, we're wrong."